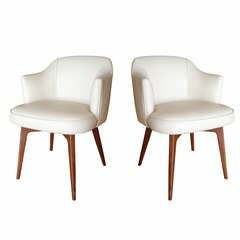 Beautiful and modern Lucite armchairs made to order and upholstered in COM or COL at no additional charge. 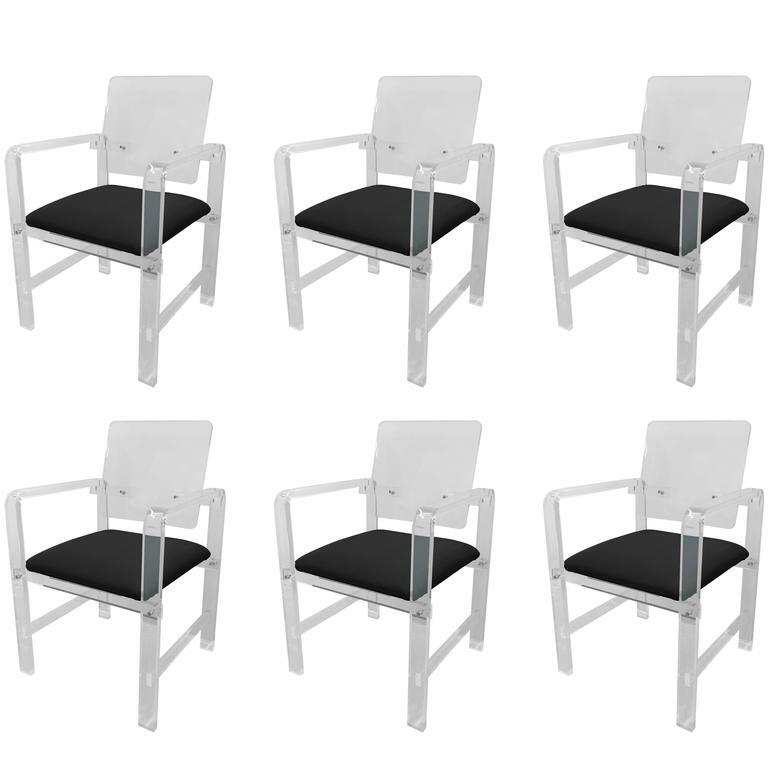 These chairs are newly manufactured by Cain Modern and the can be customized and made in clear or smoked Lucite. The chairs are very well made and they can even be taken apart for shipping. Measurements:38" high x 24" wide x 22" deep. Seat: 19" high from the floor to the top of the seat. Armrests: 28" from the floor to the top of the armrest. 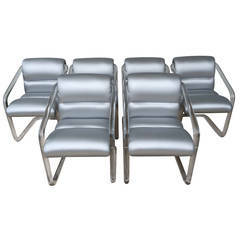 The frames of the chairs are 1" thick and the backrest is 3/4" thick, they are very comfortable and sturdy. If you are coming to our showroom to see a piece please call ahead of time because due to our large inventory some items are available by appointment only. All of our sale are final, no refunds, no exchanges and no returns. The chairs are in excellent condition. 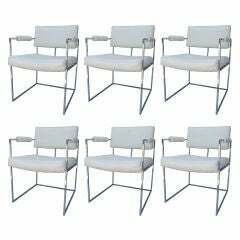 Set of six Lucite newly upholstered armchairs unmarked but strongly attributed to Lion in Frost. 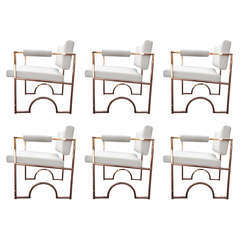 Set of Eight vintage Lucite arm dining chairs by Leon Pace. These have there original upholstery which may have some slight stains. 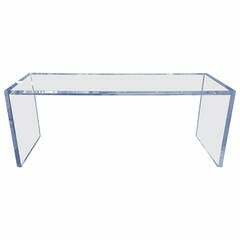 No defects to the Lucite. 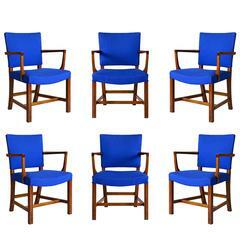 Solid teak sculptural armchairs design by Niels O. Møller black leather upholstery Signed by manufacturer. Made by J.L. Moller Mobelfabrik. Model # 66 Measures: Arm height 27.75".